If the Supreme Court sides with Apple and upholds a 120 year-old law governing design patents, it may open the door to a highly lucrative field for patent trolls to exploit, intellectual property experts from the likes of Google and Facebook fear. In a June 8 amicus brief filed by more than a dozen tech firms, industry experts said they are worried that an Apple win could embolden patent trolls to abuse any precedent that may be set. Much of the concern revolves around design patents, rather than the utility patents more commonly favored by patent trolls, according to Law360. As the computer industry has matured, utility patents —those involving "useful process, machine, manufacture, or composition of matter, or a new and useful improvement"— have become increasingly difficult to obtain. In contrast, design patents, which are "issued for a new, original, and ornamental design embodied in or applied to an article of manufacture," are still a relatively open field. Adding to the appeal of design patents is the way damages are awarded in design patent cases. 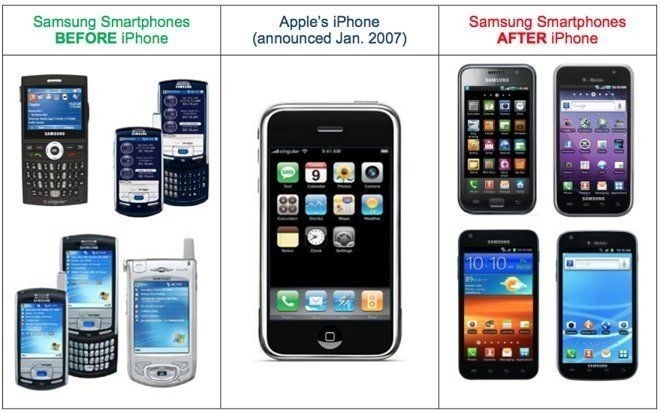 In their last round at the appeals court level, the court upheld a judgment awarding Apple all of Samsung's profits derived from the infringing phones. This all-or-nothing approach is based on precedent set 120 years ago, which is the last time the Supreme Court considered such a case according to Reuters. Samsung and its supporters are arguing that such an old law does not reflect the realities of modern devices that may have hundreds of parts, some of which are covered under a variety of patents, and that the law should be reinterpreted to award damages proportionally to the patent in question, according to Law360. If Apple wins at the Supreme Court, and the total profits provision is upheld, experts worry that patent trolls will come out of the woodwork armed with design patents. "It is not hard to imagine abuse of something like this by a patent troll if they can get their hands on a design patent," said Matt Levy, counsel for the Computer & Communications Industry Association. Still, not all experts are ready to jump on the doom-and-gloom bandwagon. 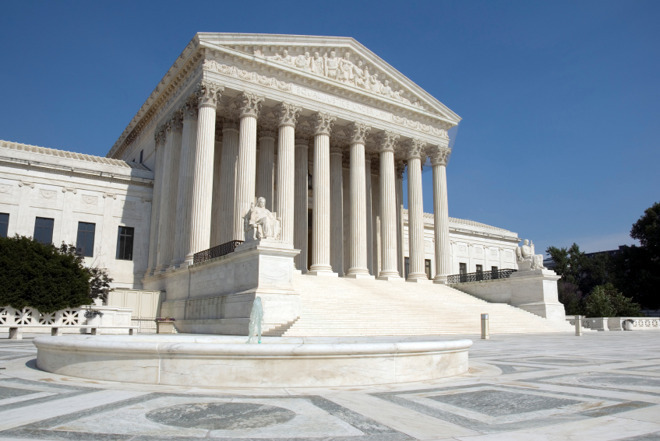 Howard Hogan, a partner at Gibson Dunn, told law360 that he was skeptical of the arguments being made and that the Supreme Court would have to consider the wisdom of overturning over a century of jurisprudence that has helped protect companies' intellectual property. Samsung and Apple are set to plead their cases before the Supreme Court on Oct. 11. The dispute dates back to 2012, when Samsung was found on the hook for $1.08 billion in damages for Samsung's infringement on Apple's smartphone hardware and software patents. In preparation for the October hearing, Apple delivered a legal brief to the court last week, asking it to uphold the favorable ruling in its ongoing patent lawsuit with Samsung. Apple has argued that the South Korean electronics maker has not furnished sufficient evidence to send the case back to a lower court.